It’s showtime for Natsuo! 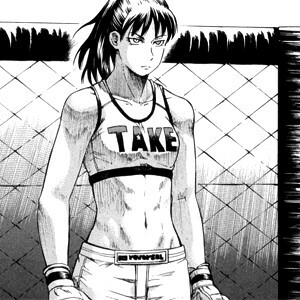 Her first fight in the tournament is about to begin. Enjoy the chapter! Teppu ch.18 – Your eyebrows are so thick. Have you already liked us in facebook? You can also follow us in twitter. We still need Japanese translators for Ziggurat, Sugar wa Otoshigoro and a couple of new projects, so please join us! We also need good cleaners for Wrestle the Under ground. Super cool, a great new chapter, thanks a lot!! Thanks for the release, I was really looking for to this chapter. Keep up the amazing work. Wow, that chapter was awesome! Thank you! That chapter was boss as! Can’t wait for the next! Loved this chapter. Thank you! That was incredible! Was waiting so long for this, can’t wait for the following chapters! I love this manga. Thanks for the release, and I’m super hype for the fight with Sanae next chapter. Thank you so much for the chapter! this is seriously one of my all time favourite manga. can’t wait to read the next one. that really was fast, thanks, also great as always. I would like you on Facebook or follow on twitter but won’t make an acoount just for that. Is this still on hiatus because of the author being sick? Yup, there’s no change about that so far. Thanks for your job on Teppu ! Thanks for the Teppu chapter and keep up the good work :). Thanks for translating this awesome manga!